The Postgraduate College, University of lbadan Scholarship Competition Award Application Form, Eligibility, Requirements, Selection Process and Deadline for 2018/2019 Session. The Postgraduate College, University of Ibadan is pleased to announce its 2018/2019 Scholarship Award Competition and to invite interested doctoral scholars based in the University of Ibadan to submit applications for consideration for an award. The Postgraduate College Scholarship Award is designed to promote and reinforce a culture of academic excellence in Nigeria. Through the scholarship scheme, support is offered to scholars interested in charting new research directions or advancing on-going research with the expectation that this will contribute immensely to enriching the state of knowledge. The scholarship scheme is particularly targeted at the younger generation scholars who are carrying out research at the doctoral degree level in any academic discipline within the University of Ibadan. In selecting candidates, emphasis will be placed on the potentials of the doctoral theses and their implications for development. The award involves waiver of tuition and all other Postgraduate College – related fees, and carries a handsome monthly stipend subject to review by the Postgraduate College from time to time. Each recipient, to be designated as the “Postgraduate College Scholar”, will be required to give formal service to his/her Department/Institute. The Postgraduate College may also require the services of the awardees on special occasions. The Scholarship will be awarded to cover a period of one academic session, in the first instance, renewable for up to another two academic sessions, subject to positive and a progress report from the supervisor, endorsed by the Head of Department, at the end of each academic session. 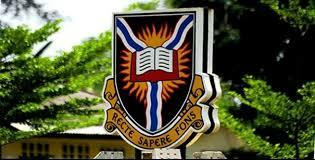 To be eligible, candidates are expected to be holders of good honours degrees (minimum of Second Class Upper division or equivalent) of any University recognised by the Senate of the University of Ibadan, and Master degrees of the University of Ibadan (minimum of 5.0 cumulative grade point average) in any academic discipline. Candidates who are already under another scholarship scheme or those who have spent less than one semester or more than three semesters on their doctoral programmes are not eligible to apply. All applicants are required to be registered full-time doctoral students of the University of Ibadan in the 2017/2018 session. Evidence of registration for the 2018/2019 session must however be provided before issuance of letter of award to successful applicants. (a) An Application form obtainable from the website of Postgraduate College (http://pgcollege.ui.edu.ng), duly completed by the applicant and endorsed by the Head of Department and Dean of Faculty. (b) 5 copies of detailed Curriculum Vitae. (d) Evidence of Registration for the 2017/2018 Session. (Please note that proof of registration for the 2018/2019 session MUST be provided before a letter of award to any successful applicant). (e) Research Proposal/Project Summary of between 5 and 10 pages must be submitted by PhD student applicants only. This should provide a clear statement of the objective of the work to be carried out or that is already being undertaken, its justification, the significance of the study vis-à-vis the existing literature, the methodology, and the expected output. Candidates are strongly encouraged to indicate the original contributions which they hope their study will make to knowledge. The proposal should be typed with 1.5 line spacing using Times New Roman with font size 12. Size of the paper in typescript should be A4 with a margin of 2.0cm to be left on the left hand side and 1.8cm for other margins except the top of the first page of the proposal, which should be 5.0cm above the headings. Only one side of the paper should be used. Applicants are to submit 3 copies of their research proposal. (f) Candidate’s Commitment Letter: A one-page letter from the applicant affirming his/her readiness to submit a report of between 5,000 and 10,000 words as the outcome of the research carried out with the scholarship award. All applications should be received in the Provost’s Office, The Postgraduate College within six weeks from the date of this announcement 18th March - 26th April, 2019.